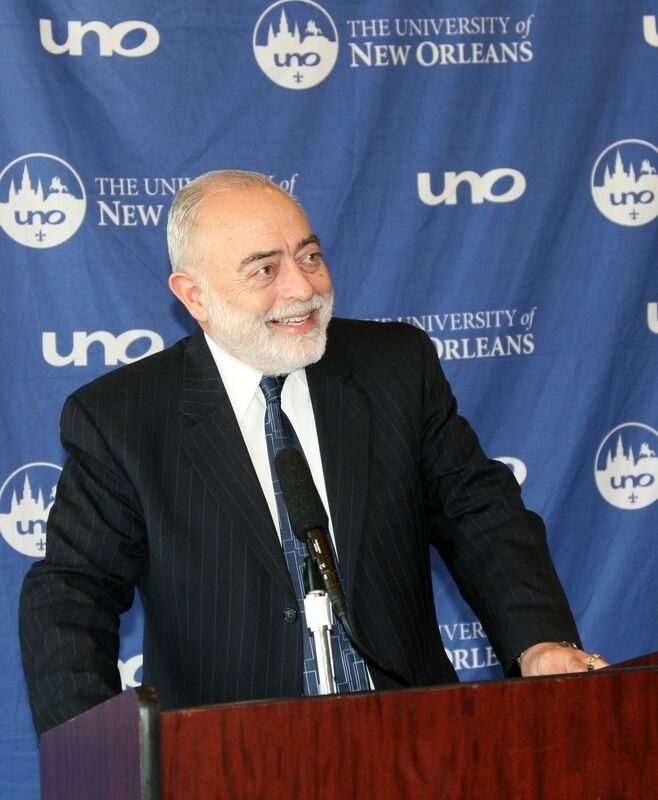 NEW ORLEANS – After four rounds of interviews conducted on the University of New Orleans campus, the UNO Presidential Search Committee today unanimously selected Peter J. Fos and Michael A. Wartell to move forward in the search process. Presidential Finalists Fos and Wartell will interview with the University of Louisiana System Board of Supervisors in Baton Rouge on Friday, Dec. 9. Following the public interviews, the UL System Board plans to deliberate and select UNO’s new leader. Peter J. Fos is a professor and program director of health policy and systems management at Louisiana State University Health Sciences Center in New Orleans. Among his previous academic positions were provost and executive vice president for academic affairs at the University of Texas at Tyler, dean of the college of health at the University of Southern Mississippi, and various administrative and teaching positions at institutions including Tulane University. He received his undergraduate degree in biological sciences at UNO, a doctor of dental surgery at LSUHSC, and a master of public health and doctor of philosophy in health care decision analysis at Tulane University. Michael A. Wartell is in his eighteenth year as Chancellor of Indiana University-Purdue University Fort Wayne, where he also serves as a professor of chemistry. Prior academic positions include vice chancellor for academic affairs at IUPUFW, provost and vice president of academic affairs at Humboldt State University, dean of the college of letters and sciences at James Madison University, and appointments at Slippery Rock State College and Metropolitan State College. He earned an undergraduate degree in chemistry at the University of New Mexico, and both a master’s degree and a doctor of philosophy in physical chemistry at Yale University. Starting a 9 a.m. on Friday, Dec. 9, the UL System Board plans to conduct back to back public interviews with each finalist. Immediately following the interviews, the Board may deliberate and publicly vote on a new leader for the University of New Orleans. These activities will take place in the auditorium of the Claiborne Building located in downtown Baton Rouge and will be webcasted live at http://streaming.louisiana.gov. A full schedule and agenda will be released early next week. “The UNO campus and community has overwhelmingly supported this week’s search activities. We encourage everyone to bring that level of engagement and excitement to Baton Rouge next Friday for this historic moment for the University of New Orleans,” said Moffett. Voting members on the committee were UL System Board Members Paul Aucoin of Thibodaux, Andre Coudrain of Hammond, David Guidry of Harvey, E. Gerald Hebert of Kenner, Renee Lapeyrolerie of New Orleans, Student Member John Lombardo of Thibodaux, Jimmy Long, Sr. of Natchitoches, Board Vice Chair D. Wayne Parker of Choudrant and Board Chair Winfred Sibille of Sunset. Also serving as a voting member is UNO faculty representative Neal Maroney, who was selected by the UNO University Senate’s Executive Committee. Serving in a non-voting, advisory capacity was Brian Glorioso, Susan Hess, John Mineo, and Gary Solomon. UL System President Randy Moffett served as the non-voting chair of the committee. “I want to thank Dr. Moffett and the UL System Board for including alumni, faculty and community members on the search committee. 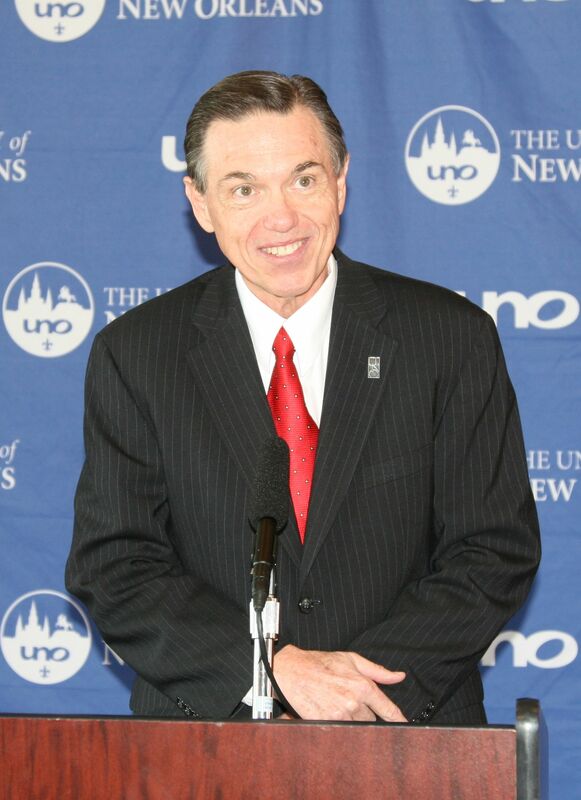 It has been eye opening how great they [Board Members] have been to us, and I think UNO will have some great opportunities in the future,” said Search Committee Member and UNO International Alumni Association President Brian Glorioso. Candidate applications, meeting schedules, and other information can be found on the search website, www.ulsystem.edu/UNOSearch . To submit questions and comments about the search, you can send an email to UNOPresidentialSearch@la.gov .